Easy to set up and save results directly to the web! Our Wireless Timing Gates are lightweight, low-profile, easy to set up and can be used on any surface. They are also highly durable and can withstand up to 70km winds. Using our gates you will be able to run races more often and with less manpower on race day. Results are saved straight to your laptop, with the option to export to excel or upload online to ResultsHQ for use throughout the season. Our gates are modular in design and can be set up in various configurations from 1-14 lanes. Our gate package also includes a trolley for easy transport and storage. RaceHQ is a powerful results management application that allows you to add, edit and delete results, run overlapping events and mixed ages/genders together and more. Results save straight to your laptop and can be uploaded online to ResultsHQ. Our race accessories include a wireless start device to start the race, a wireless timing hub, USB mini-cable and carry case. 1. Place weighted bases on the track and slot in timing gates. 2. Connect wireless timing hub to computer. Open RaceHQ software. 3. Pair software to gates and to your wireless start device/s. 4. You are now ready to run sprint and/or distance races. 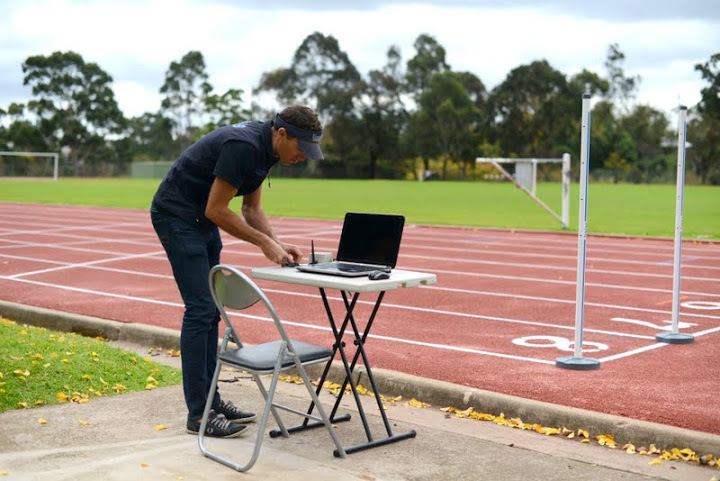 EVENTS YOU CAN USE OUR WIRELESS TIMING GATES FOR!